Ten UK Brands Collaborating with Influencers — CROWD. Luxury brands out of the UK are some of the most historic around, with many having been founded a century ago. However, some are successfully keeping it current with forays into influencer marketing. Read on to discover ten British brands making the most of digital influencer collaborations. The Barbour clothing brand, begun in 1894 in South Shields, got its start by producing weatherproof outdoor clothing for the military. Their Ursula suit became standard issue for the Submarine service in WWII, but the company had been supplying oilskins and other outdoor garments to the seafaring community for a number of years. Now, they’ve partnered with TV, radio, and weather presenter Sian Welby to promote their line of breathable waxed jackets, called the Weather Comfort collection. Who better to represent them than a weatherperson? with its new production, Off Script. Jamie Foxx hosts the new web series, interviewing with Hollywood’s most beloved talent to celebrate the iconic moments in film that shaped their success. Heritage automotive brand Bentley has unparalleled stature in its industry, standing out from the crowd by maintaining its British identity. As part of their new limited-edition series, they partnered with race car driver Rhys Millen on the International Pike’s Peak Hill Climb. 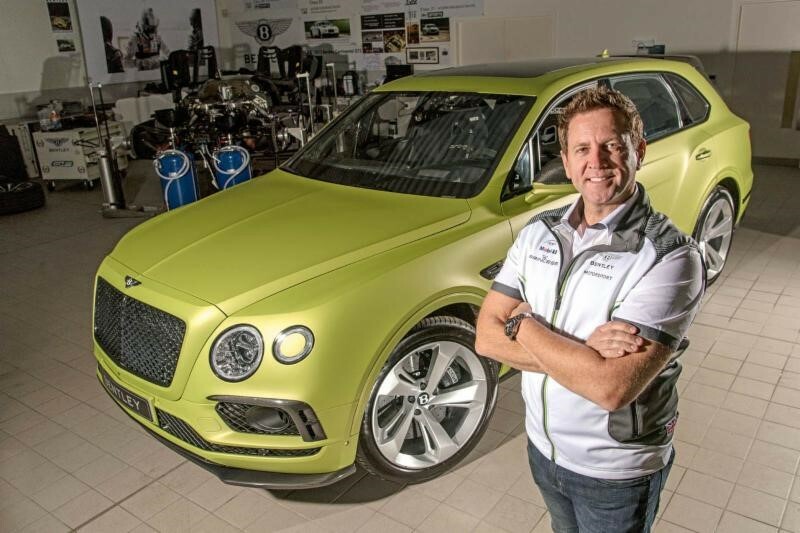 The Bentley Bentayga Pikes Peak will be a run of just 10-cars, offered in the US and Europe only. Century-old shoe brand Superga has a marketing strategy that is firmly in the now. Rather than running specific influencer campaigns, Superga uses its Instagram account to casually include multiple influencers in their everyday posts. Micro-influencers like Gurj Sohanpal, Sophia Constantine, and Sandy B. have made recent appearances in Superga’s feed. in an understated aesthetic, paying rigorous attention to detail in both design and manufacture. For their new campaign, The White T-Shirt Project, they’ve partnered with a number of fashionable and creative influencers, including Caitlin Burke, Rachel Saunders, and Lincoln Pilcher, to name a few. Their feed so far features 14 artist representatives wearing the classic white T.
International backpack brand Invicta launched a collaboration with one of our favorite influencers, Chiara Ferragni, and her own brand, The Blonde Salad. Using the hashtag #neverstop, the co-branding campaign made the most of Chiara’s extensive influencer campaign experience. British clothing brand All Saints offers “attitude, individuality, and creativity” with their edgy, often monochromatic offerings. The brand has cleverly woven influencer marketing into the fabric of its digital existence, choosing shots of micro-influencers in their clothing over traditional models. Their most recent posts include shots of Mame Camara, Lili Sumner and Xie Chaoyu. posting photos from stylish Insta stars like Forever Yours Betty and Hannah Whiting. Using individuals with smallish but dedicated followings, the makeup brand is sure of projecting both authenticity and charm. Tatty Devine jewellery, started in 1999, makes handmade statement pieces at affordable prices. made from Perspex. We love that each piece is handmade but at such affordable prices. They have worked on many collaborations with artists, designers and charitable institutions, but the most recently notable is the Women We Watch campaign, which shines a spotlight on creative and enterprising women like Rhyannon Styles. Beloved heritage brand Marks & Spencers is collaborating with their new brand ambassador Holly Willoughby, a TV star and fashion favorite. The collection, Holly’s Must-Haves, launches later this month and is all the inspiration you need for your Fall look. We can answer further questions at hello@crowd.agency. For advise and influencer news don't forget to check out CROWD.